I am humbled but proud to say, my skin problems are 80% HEALED. 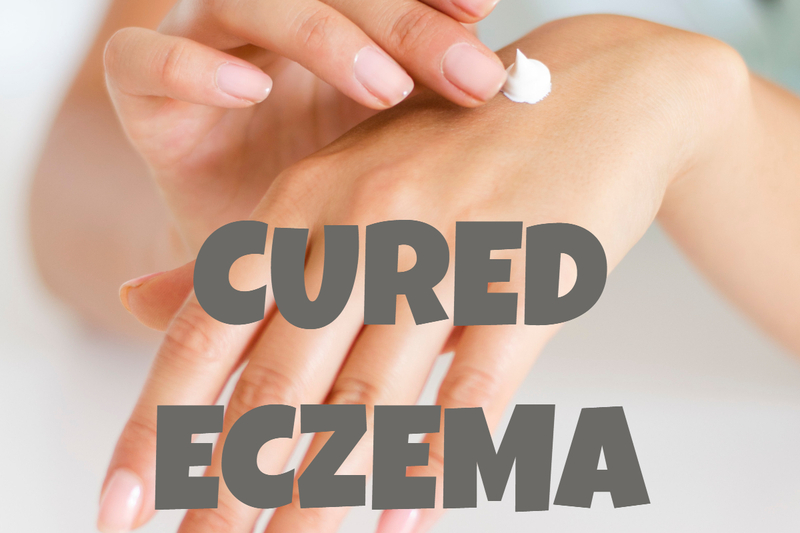 I promised to write this article elaborating on things I have used and been using to come to this stage of healing my eczema so today is the day of sharing it all. I know I have been absent for a long time, in fact – it has been well over or close to 2 months since I last penned an article on here. But there is a reason for that, I have been focusing my energy towards healing myself, to be specific, my Eczema. And it is not an easy journey. No meat of any kind, whatsoever. I know some people will question this but it is my personal choice, after all this is my blog. So why no meat? I did come across an online article supposing that when we eat meat, our body actually interprets it as a toxin or foreign body that needs attending to. In this regard, our body activates our health guards called antihistamines to up our defences as our body is in a state of attack. Horrifying, isn’t it? For a meat lover person that I am and for the majority, too. This article about meat being a toxin has really been in my mind for weeks now but don’t get me wrong I still want to eat meat soon. My strategy is always to say to myself: I have come this far in healing my arms why should I risk losing it everytime I feel the need to binge on a juicy and fall off the bone rack of ribs so tender beyond compare. But realistically, I am aiming to eat a slice of my favourite cake once a week and maybe roast a small leg of lamb twice a month in order not to deprive my self for so long. I am looking to start this around May or late April, to be safe that I don’t trigger my skin problem again. Just not worth it. I should also mention that last week and the week before that I did make a bone broth dish with ingredients like lemongrass, onion, loads of ginger and a bit of spring onions. I did this because my stubborn cough wouldn’t go away. I got sick with flu over a month ago due to me walking to another town for 40 minutes each way and the temperature was so cold – I had no scarf plus I realised my immune system under this skin problems kind of situation, are down. Yeah, there were moments where I was not sure if onion is really bad for my eczema or if the lamb juices or fats from the boiling or broth were going to affect my skin – can’t really say. This has been super difficult for me as I am a cake person, super partial about anything caramel or toffee and anything that says Almond cake. The main issue here, time and again, is the culprit and the bad boy: Wheat. Wheat apparently causes a lot of problems. I totally agree to this as I what I experienced and of course several people that I see in public with issues about allergies and intolerance to this and that resulting to rosacea, eczema on the elbow, pimples that would not go away. Sometimes I ask them what their favourite foods are, then they answer – sandwiches from Subway, pepperoni pizza from Dominos, or KFC. No surprise we have skin issues because by now, we should all be aware about the unhealthy results of eating anything with wheat – flour based food items. And even if we opt for gluten-free flour, this is still bad for eczema as it still contains corn and also tapioca. I cant stress enough that anythning with tapioca triggers the deadliest in my case. NO COMMERCIALLY PREPARED DISHES. COOK AT HOME! This one takes my time but since I am not working for over 2 months now, it works for me. Most of the time I am bored out of my head but every single time the clock says 4 pm or 3.30, I head to the kitchen and get busy, and it is a good distraction, at the same time. I guess this really cuts down a lot on the toll of fastfood meals and the takeaway culture. Why? Althought it is daunting to cook from scracth, the payoff is quite good. You can be sure that what you are cooking is fresh and hot off the pan. Moreover, you also know a 100% what the ingredients in your cooking are, therefore, you have all the control in terms of doing away with the nasty food additives that commercial cooking uses to preserve shelf life and enhance flavours that otherwise you can do in natural ways. In addition, when you cook from scratch you sort of get into the habit of dishing out meals that you don’t feel guilty about and in return you have a more positive feeling and outlook all throughout the day knowing that you are not overworking your digestive system, your liver, kidneys, which will then result to a better healing of your gut and then your skin. It is a bit too late for me to realise how serious the impact of just drinking ordinary water from the tap, but hey, better late than never. I have been, from time to time, coming across articles about drinking water from the tap, and the findings are worrying, especially to those with skin conditions like eczema. In fact, in an article by the Huffington Post, it is mentioned that the tap water contains a lot of microorganisms and toxins which can play a role in allergy symptoms and disease. It also added that removing these bad components will greatly minimise one’s internal toxic load levels which may help the body in dealing with allergy problems. I have been using the NEW- 2.6 Litre All-in-one Cleaning AND Alkalising Jug which is readily available via Amazon. I find the water’s taste is significantly better in the sense that it tastes sweeter and there is a more robust texture to it when it goes down your throat, smoother feeling to it. I get a very good general health feeling knowing that my water is hydrogen rich anti oxidant and it is available to me easily plus the bonus of it being in an alkaline state which improves the ph level of my body. With its micro-clustered molecules, the water is absorbed better by the cells so hydration and health is a lot better. I almost forgot this one but I figured that this must be helping my journey too. It is a no brainer that ‘sensitive’ washing products are way better than the regular ones. I guess there is no need really to explain this one. While most people don’t care about using the generic washing powders or capsules, I would like to believe that there is a growing trend or shift to the more skin ‘friendly’ products especially with the increasing cases of skin problems and allergies in our modern society. Go for this option so that you will not only be helping your skin but it also makes sense that you will have less tendency to have dry skin and therefore – less possibility of itchy, fiery skin. In so doing, you are also being kind to your liver, the more chemicals we use in our daily lives, the more that our liver works overtime to cope with the irritants and chemicals that is clearly considered harmful to our body as these are considered or interpreted as ‘intruders’ thereby setting our body systems in ‘alert’ mode most of the time. I guess it is high time to be gentle to our body. Let us go natural as much as possible! I have been using a much, much better and kinder to the skin shower filter. In the beginning I thought that I could do without this addition to my ‘skin healing’ plan but I would like to believe that this is contributing to my slow but visible improvements. This product is called the AQUATIERE deluxe in line re-fillable shower filter which you can buy quite easily on Amazon. I can say that my skin itching or stinging episodes after the shower is virtually around a level of 2 out of the usual 10 compared to not using one before. Plus the fact that psychologically I am very much have a mindset that I am using a water filter therefore I should have a very good experience, of course, compared to using none. I can also say that with the many benefits like the nasty chlorine is being taken cared of, plus it also inhibits bacterial growth, counteracts buildup of scale and the presence of heavy metals – this gives me the peace of mind while showering as compared before I am showering but my mind is also pushing me to get out of the shower quickly because of issues like chemicals and irritants in the water. This element has been instrumental in helping my gut heal, I would like to believe. After all, it makes sense to give attention to help rebuild the ‘walls’, if I may say, th e intestinal lining that has been ravaged by bad diet. When this problem is sorted as early as possible then I believe healing is even better as the so called ‘holes’ that are functioning as barriers against the toxins that are attacking the now permeable membrane is on the mend with its healing that may be a result of using L-Glutamine. L-Glutamine powder is believed to be helpful in providing energy for the digestive tract and also rebuilding it, according to Natural News site. It also mentioned that with improved health gut comes reduced allergies and better immunity levels. There are things that I have not been good with all along and has resulted to my health being sensitive to the cold weather outside and I was sick with the flu for over a month, the coughing aspect of it. This resulted because I was too restrictive with my food – I went overboard so my nutrients were intake were compromised. In the end I got sick so easily with a stubborn coughing that lasted over a month plus the fact that I was not so good with changing my bed sheets – my being lazy and negligent of this aspect has sometimes resulted in me not changing the sheets for over 3 weeks – this is awful but hey I am being honest but my fear of the flu has changed me for the better so I am at least changing my sheets every 8 or 9 days. I know that I should start re-introducing some foods that are vital for my health like meat, carrots, fish, which to be honest I have done in the first week of March. I started to boil lamb stewing bones and put ginger, lemongrass, and coriander leaves, sometimes garlic and pepper powder. I have also started to eat bananas as I have read they are rich in potassium which I guess can help me get some energy as most of the time I have low energy levels due to my strict diet. Over a week ago or two weeks, I have started to eat mangoes every day to pump vitamins back into my body. I have also been taking Vitamin C tablets for a month now to up my immune system. I am willing to post some photos of my arms soon so this article can be greatly improved.